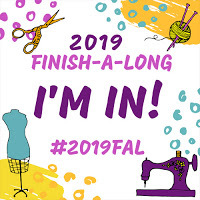 I'm getting in under the wire to link up my proposed finishes for quarter 1 of the 2019 finish along. 3. My double star quilt from my 2018 MissBHaven quilting bee. I am still waiting on a few blocks but am super keen to put this one together. 9. A Spinwheel quilt for my brother that I need to finish quilting and binding before his birthday on Thursday. 11. 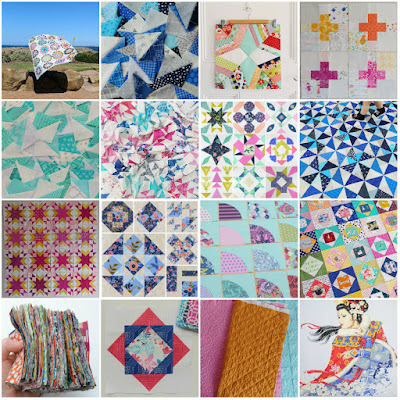 A Daydream quilt from my 2018 B&C bee. I'm still waiting on a few blocks but am looking forward to finishing this one. 14. Blocks I made during a quilt-non a few years ago. I'm thinking that they would make a nice feature panel on a tote bag. 14. Blocks from a Quilt Block Cook Book sampler quilt I started in 2017. 15. My Freckles quilt that as been on the backburner for too long. This year I'm also hoping to try lots of new things (which often means starting new projects) but I'm hoping to maintain a stable 'project balance' by working my way through this list. Hopefully it doesn't get any bigger for quarter 2. Lists grow so fast in my experience. Looks like a lot of fun.